My hubby's birthday is coming and planning buy a gift for him. Am trying to find it in a site that have many selections and also it is affordable. 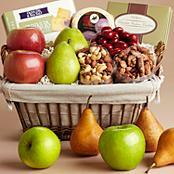 Now i also remember to buy another one a gourmet gift baskets for Dad just to say hello. It has been a while that i did not visit him and my mom. Giving gift is one of the tradition of Filipinos around the world. I can buy it online and the address is going to him so better choose what to send. If you are looking also to buy a gift to somebody then you can visit the link above for more to see. Sample gift is the image beside my post.